Mauro Icardi has refused to travel for Inter Milan’s Europa League match with Rapid Vienna after being stripped of the captaincy at Inter Milan. 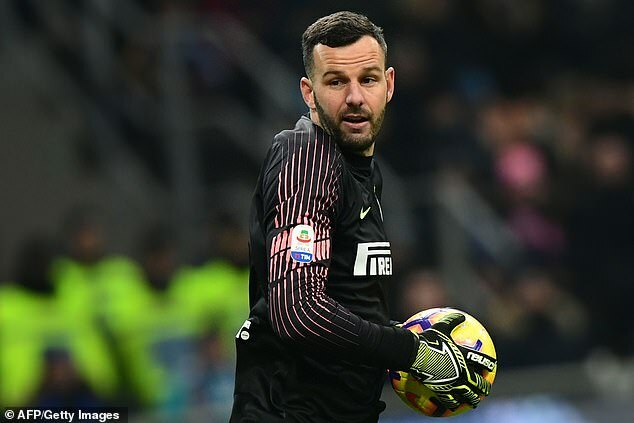 The striker has worn the armband since the start of the 2015-16 season but Inter announced on Wednesday afternoon that he would be replaced by goalkeeper Samir Handanovic. And manager Luciano Spalletti announced on Wednesday that Icardi would not be involved in Austria because ‘he didn’t want to be there’. 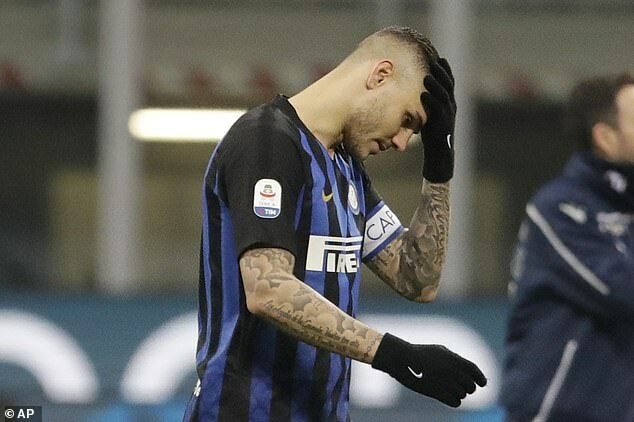 Spalletti said: ‘The decision to remove the captaincy from Icardi was difficult and painful, absolutely shared by all the club members and taken for the good of Inter. ‘He was called up for Vienna but he did not want to be there. It comes amid difficult contract renewal talks with the Argentine. 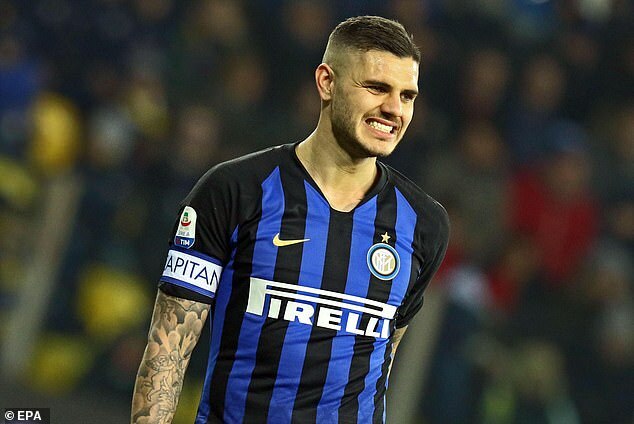 Manager Spalletti had suggested Icardi’s displays were being hit by the contract issues at the weekend: ‘Mauro is evidently seeing his performance affected by some situations that have been going on recently. Meanwhile, Wanda Icardi, his wife and agent, said Icardi was not in a rush but wanted to stay. ‘Spalletti didn’t have it in for me,’ Wanda said. ‘I didn’t mention the renewal. When the club called me, it was to get to know each other better and talk about other things. ‘I’d like to see Mauro more protected by the club because sometimes nasty things have come out from inside.